Vice Admiral The Hon. John Byron, RN (8 November 1723 – 10 April 1786) was a Royal Navy officer. He was known as Foul-weather Jack because of his frequent encounters with bad weather at sea. As a midshipman, he sailed in the squadron under George Anson on his voyage around the world, though Byron made it to southern Chile, and returned to England with the captain of HMS Wager. He was governor of Newfoundland following Hugh Palliser, who left in 1768. He circumnavigated the world as a commodore with his own squadron in 1764-1766. He fought in battles in The Seven Years' War and the American Revolution. He rose to Vice Admiral of the White before his death in 1786. Byron was the son of William Byron, 4th Baron Byron and Frances Berkeley. He joined the Royal Navy in 1731. In 1740, he accompanied George Anson on his voyage around the world as a midshipman aboard one of the several ships in the squadron. On 14 May 1741, HMS Wager under Captain Cheap (as Captain Dandy Kidd had died), was shipwrecked on the coast of Chile on what is now called Wager Island and Byron was one of the survivors. The survivors decided to split in two teams, one to make its way by boat to Rio de Janeiro on the Atlantic coast; the other, including John Byron and the Captain, to sail north along the Spanish colonial coast. Captain Cheap at Wager Island had a party of 19 men after the deserters rejoined the camp. This included the surgeon Elliot and Lieutenant Hamilton who had been cast adrift with him plus midshipmen John Byron and Campbell who had been on the barge. They rowed up the coast but were punished by continuous rain, headwinds and waves that threatened the boats. One night while the men slept on shore, one of the boats was capsized while at anchor and was swept out to sea with its two boatkeepers. One of the men got ashore but the other drowned. As it was now impossible for them all to fit in the remaining boat, four marines were left ashore with muskets to fend for themselves. The winds prevented them from getting around the headland so they returned to pick up the marines only to find them gone. They returned to Wager Island in early February 1742. With one death on the journey, there were now 13 in the group. A local Indian guided the men up the coast to Chiloe Island so they set out again. Two men died and after burying the bodies, the six seaman rowed off in the boat never to be seen again while Cheap, Hamilton, Byron, Campbell and the dying Elliot were on shore looking for food. The Indian then agreed to take the remaining four on by canoe for their only remaining possession, a musket. Eventually they made it to be taken prisoner by the Spanish. Fortunately the Spaniards treated them well and they were eventually taken to the inland capital of Santiago where they were released on parole. The Spaniards heard that Anson had been generous in the treatment of the prisoners he had taken and this kindness was returned. In 1760 during the Seven Years' War, Byron commanded a squadron sent to destroy the fortifications at Louisbourg, Quebec, which had been captured by the British two years before. They wanted to ensure it could not be used by the French in Canada. In July of that year he defeated the French flotilla sent to relieve New France at the Battle of Restigouche. In early 1764 the British Admiralty determined that it would require a permanent naval settlement off the South American cost, in order to resupply naval vessels seeking to enter the Pacific via Cape Horn. 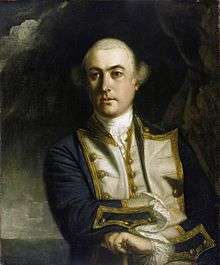 Captain Byron was selected to explore the South Atlantic for a suitable island upon which to establish such a settlement. The South American mainland was controlled by Spain, which was hostile to local expansion of British interests; to disguise Byron's mission it was announced that he had been appointed the new commander of the Navy's East Indies Station. Byron set sail in June 1764, ostensibly to take up the East Indies post. For the voyage he was granted command of the 24-gun frigate HMS Dolphin and the 20-gun sloop HMS Tamar. Byron's two-vessel flotilla crossed the Atlantic over the winter of 1764 and made its way slowly down the South American coast. The Admiralty had ordered Byron to first seek Pepys Island, reputedly discovered off the Patagonian coast by the corsair Ambrose Cowley in 1683. Byron reached the co-ordinates given by Cowley in January 1765, but there was no sign of the island and the search was swiftly abandoned. [lower-alpha 1] On 5 February Byron reached the Patagonian settlement of Port Desire where he resupplied his vessels from the storeship HMS Florida. Between June 1764 and May 1766, Byron completed his own circumnavigation of the globe as captain of HMS Dolphin. This was the first such circumnavigation that was accomplished in less than 2 years. His actions nearly caused a war between Great Britain and Spain, as both countries had armed fleets ready to contest the sovereignty of the Falkland Islands. Later Byron encountered islands and extant residents of the Tuamotus and Tokelau Islands, and Nikunau in the southern Gilbert Islands; he also visited Tinian in the Northern Marianas Islands. On 8 September 1748 he married Sophia Trevanion, daughter of John Trevanion of Caerhays in Cornwall, by whom he had two sons and seven daughters, three of whom died in infancy (a daughter Juliana Bryon married her cousin William Byron, died 1776, son of William Byron, 5th Baron Byron). Their eldest son, John "Mad Jack" Byron, in turn fathered the poet George Gordon Byron, the future 6th Baron Byron. John Byron was also the grandfather of George Anson Byron, another admiral and explorer and later the 7th Baron Byron. He was the brother of Hon. George Byron, married to Frances Levett, daughter of Elton Levett of Nottingham, a descendant of Ambrose Elton, Esq., High Sheriff of Herefordshire in 1618 and a surgeon in Nottingham. ↑ Historian Robert Rea describes Pepys Island as "completely mythical;" Cowley's description of it was either fictional or a mistaken landfall among the Falklands. 1 2 3 4 5 6 Douglas, W. A. B. (1979). "Byron, John". In Halpenny, Francess G. Dictionary of Canadian Biography. IV (1771–1800) (online ed.). University of Toronto Press. 1 2 3 Rea, Robert R. (October 1981). "Florida and the Royal Navy's Floridas". The Florida Historical Quarterly. Florida Historical Society. 60 (2): 187–191. ↑ "Circumnavigation: Notable global maritime circumnavigations". Solarnavigator.net. Retrieved 2009-07-20. ↑ Officer on Board the Said Ship. (1767). A voyage round the world in His Majesty’s Ship the ‘Dolphin’, commanded by the honourable commodore Byron. London: J. Newbery and F. Newbery. ↑ Haydn, Joseph (13 Jun 2008). The Book of Dignities: Containing Lists of the Official Personages of the British Empire ... from the Earliest Periods to the Present Time ... 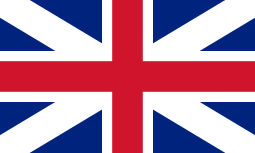 Together with the Sovereigns and Rulers of Europe, from the Foundation of Their Respective States; the Peerage of England and Great Britain Original 1851 Digitized by the University of Michigan. Longmans, Brown, Green, and Longmans. p. 279. ↑ The Genealogy of the Existing British Peerage with Brief Histories of the Family Histories of the Nobility, Edmund Lodge, London, 1832. Books.google.com. Retrieved 2009-07-20. ↑ A Genealogical Account of the Mayo and Elton Families of the Counties of Wilts and Hereford, Charles Herbert Mayo, London, 1882. Books.google.com. 2006-06-26. Retrieved 2009-07-20. ↑ "At Twickenham Park, Lord John Berkeley". The Twickenham Museum. Retrieved 27 June 2015. "Byron, John". Appletons' Cyclopædia of American Biography. 1900.